Excessive moisture is harmful to health and the human body, so we have to always avoid humidity at home. But this task can be complicated in certain areas, depending on factors such as weather, and we’ll have to resort to different techniques that help us reduce humidity levels. Dehumidifiers are very useful for this purpose, although it should be noted that those sold in the market can be expensive. Therefore, at Dinzie you’ll learn how to make a homemade dehumidifier yourself. To develop a home dehumidifier, you’ll need to get calcium chloride that you can find in drugstores or DIY centres, usually sold in the form of small white balls or flakes. Once you have calcium chloride (which will be in charge of absorbing moisture), you’ll have to insert it in a sock or stocking of lycra and tie it. On the other hand, you must create a support so that it is suspended and does not touch the bottom of the container. You can grab a small wood, a metal support or any other material that does the job. You must then place a plastic container or something else which will collect the water that the calcium chloride accumulates, thus eliminating the humidity of the environment. This way, you’ll see how the home dehumidifier will reduce humidity levels and the only thing you will need to do is monitor the container to empty it once its filled. 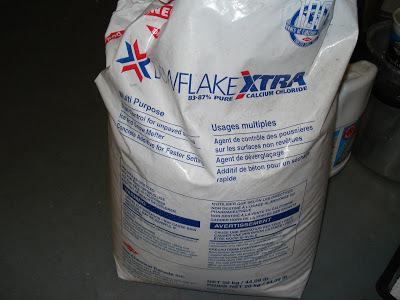 After some time, you’ll need to replace calcium chloride with a new one batch so it continues to absorb moisture from your home.